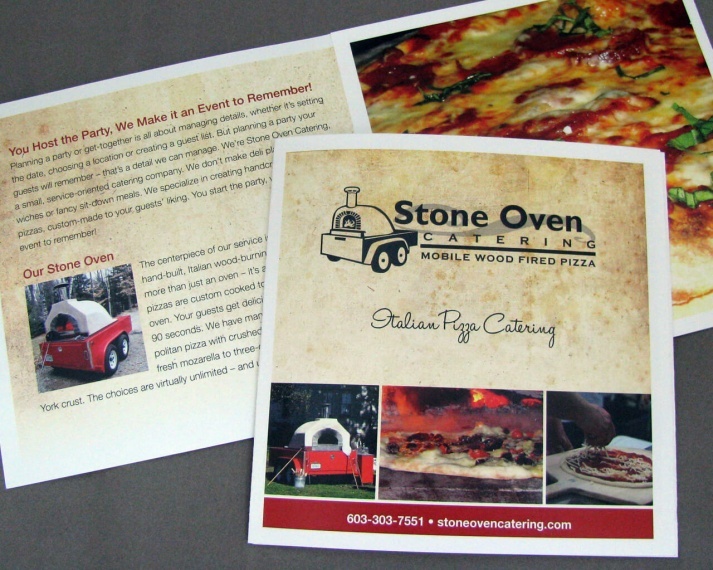 Stone Oven Catering is a mobile catering company that specializes in wood fired pizza. They cater both private and corporate events, as well as fairs and festivals throughout New England. 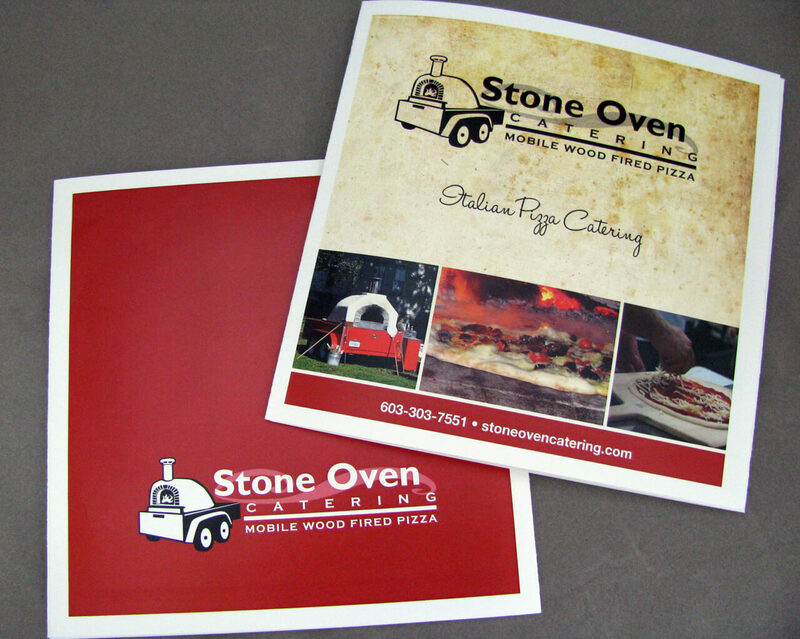 Owner Tim Wolff contacted ecm to design a marketing brochure to help create awareness of their corporate catering services. 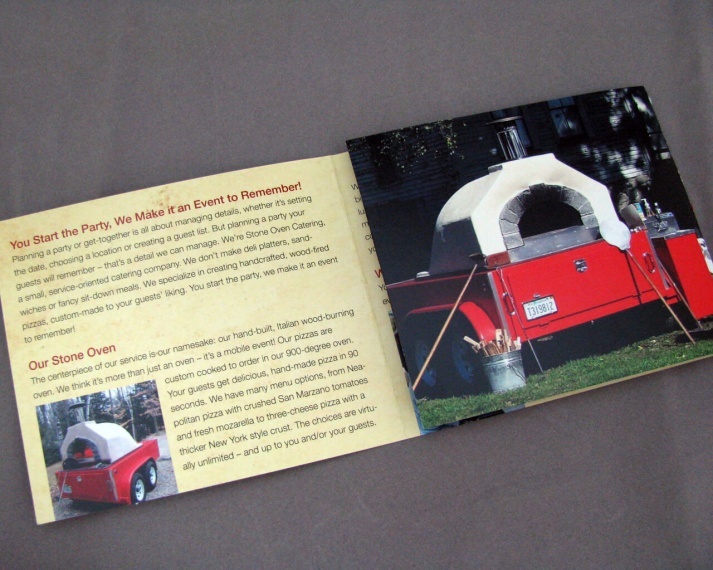 Knowing that Tim’s product speaks for itself, ecm placed large, tempting images of the pizza at the center of the brochure, which practically begs the reader to pick up the piece. Inside, details about Stone Oven’s corporate catering were included along with images of their typical set-up and options provided. 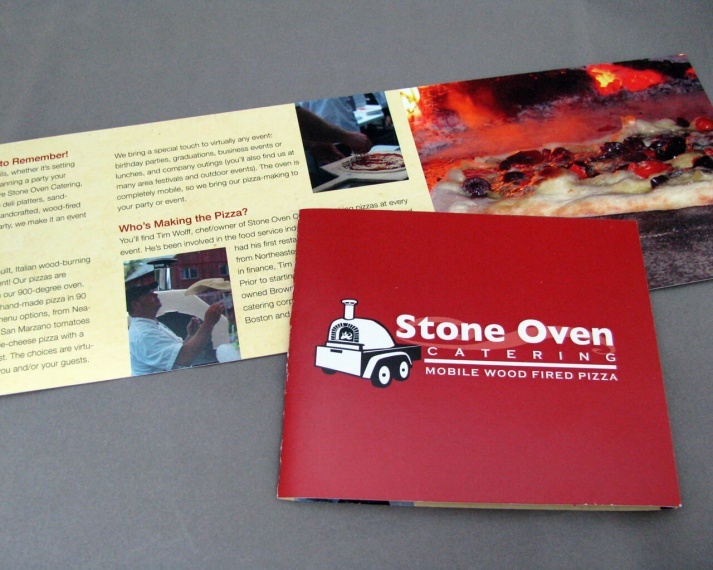 Along with samples of their pizza, the marketing brochure doesn’t have to work hard to make the sale.